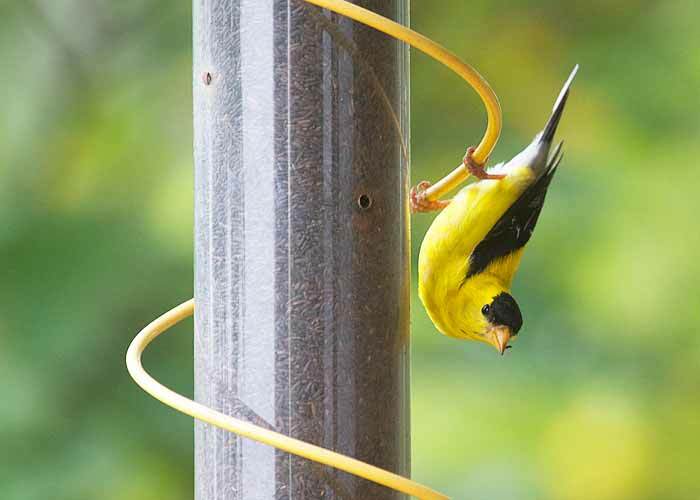 Yellow Spiral Finch Feeder 36"
Watch 36 inches of gold dancing on air! Lots of birds can feed at once. 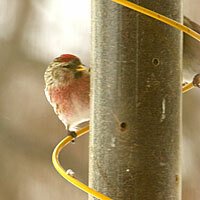 But the feeder attracts so many goldfinches that there are always some waiting (not so patiently) for their turn. The spiral perch is an innovation that lets birds feed in a way we've never seen before. This feeder is really fun to watch. The goldfinches flock to it and sidle up and down the spiral. Their interactions are lively. You really get to see each bird's personality. 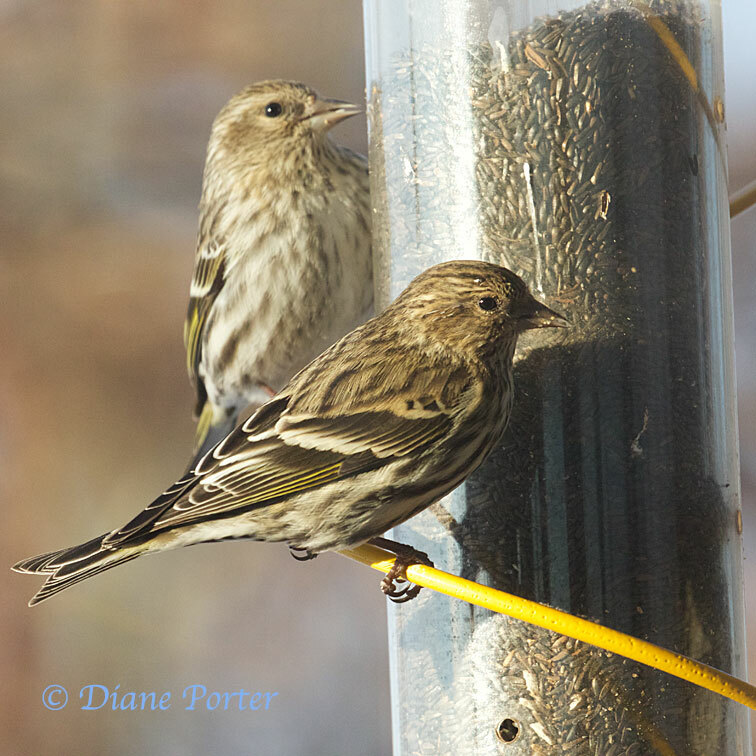 The bright yellow color of the feeder picks up the color of the goldfinches, especially in their breeding plumage. Very pretty combination. Comes apart easily. The yellow metal cap click-locks into place. No screws to drop in the grass, and no tools needed. The feeder comes apart from the top or the bottom. The yellow metal cap click-locks into place. No screws to drop in the grass, and no tools needed. This feeder is designed for nyger, the tiny black seeds that finches love. 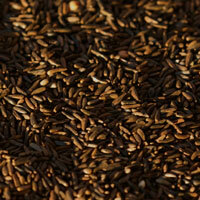 It's easy to find in supermarkets, feed stores, or wild bird centers.